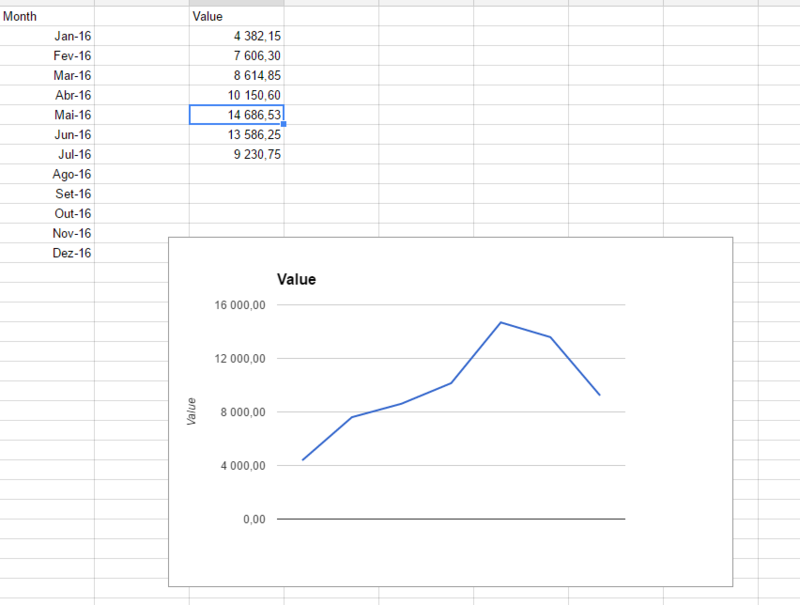 How can I add the month names to the x-axis??? You need to add column A to the chart as labels for the horizontal axis. 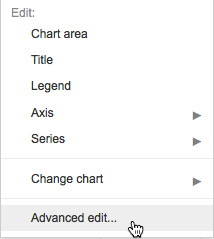 Select the Chart types tab. 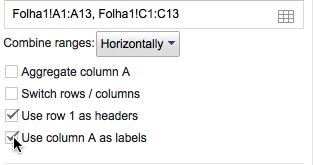 Replace Folha1!C1:C13 with Folha1!A1:A13,Folha1!C1:C13. Select Use Column A as labels. 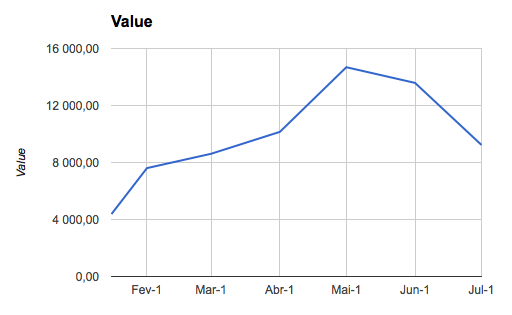 Here's the chart with month names in the horizontal axis. Not the answer you're looking for? Browse other questions tagged charts google-spreadsheets or ask your own question. How to chart multiple timelines in Excel?